With 80 years of agricultural heritage, Perkins understands agriculture and the needs of the sector. Whether it’s powering applications on farms, in forestry work or lawn and garden care. Perkins has a complete range of reliable engines, which meet different emissions standards, and provide low cost of ownership. We tailor engines to meet the specific needs of your particular application, and provide global service support to keep the engine running. As the world’s population continues to rise, there is greater pressure on the agricultural sector to provide food. As countries develop and their economies are enriched, there is a move from small farms to much larger enterprises. That brings a need for greater mechanisation. Perkins maintains a strong presence in the sector today. We understand the current and future needs of the sector, and our focus and commitment supports future trends in agricultural applications. A globally recognised and respected engine brand we power more than 300 different tractor models. And through our dedication, we have built long-standing relationships with some of the most prominent agricultural machinery manufactures. Among our customers are leading Original Equipment Manufacturers (OEMs) brands including Massey Ferguson, Claas, Lindner, Landini, McCormick, Manitou, Hattat, Farmtrac, Iseki, Weidemann and Stara. With more than 500, 000 Perkins engines currently in service in agricultural machinery around the world, our products have proven performance in real-world applications. World class quality products are produced as standard from all our global manufacturing facilities. In fact, its award-winning quality as Perkins won Agco Brazil’s award for ‘Best Supplier of 2014 for Direct Material’, recognising our record for outstanding quality performance as well as 100 percent on-time delivery. From 8.8-225 kW (11.8-302 hp), Perkins has a complete range of engines for use in agricultural applications, from tractors to harvesters and from forestry machines to lawn and garden care. The range is continually being developed to meet the needs of the global agricultural sector, whatever the emissions standards. 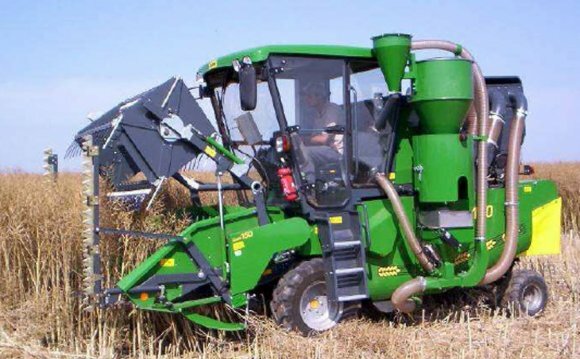 A range of features and benefits make our engines the ideal choice for the agricultural sector, with world class quality focused on maximising the use of new technology. Designed to meet global emissions standards, including the most stringent EU Stage IV/U.S. Tier 4 Final, our 400, 850, 1100 and 1200 Series compact engines deliver the power and torque you need for your agricultural applications. We provide tailored power solutions through our Technical Integration Workshops (TIWs). To effectively integrate our engine into your machine, our TIWs bring together our experts with those of the OEM. Working side-by-side we develop the right solution for your application, shaving months off your development time and cost, and delivering a product that will bring real benefits for the end user. This close customer collaboration enables us to develop a clear understanding of what the agricultural sector needs today and tomorrow. Our OEMs benefit from easy access to Perkins global service and product support, with 100 distributors and 3, 500 outlets operating in 180 countries. Access to genuine Perkins parts, available 24/7 from our parts distribution centres, means you’re never far away from the service and support you expect and deserve. Real world case studies showing our agricultural solutions are high quality and reliable. Our engines are fulfilling agricultural requirements worldwide. You can talk about your agricultural needs directly with our sales team. Gottmadingen is a municipality in the district of Konstanz, in Baden-Württemberg, Germany. It is situated next to the border to Switzerland, 5 km southwest of Singen, and 12 km east of Schaffhausen.